Open hearted to offer an assortment of modalities to help others, Miriam Belov is grateful to be a woman of experience and intuition. A pioneer in the mind body spirit field, she shares her psychic energy healing expertise in a graceful and effective manner. Miriam has done on site research and teaching in America, Europe, The Middle East and India. Meditating on the most effective way to combine these experiences and modern scientific research, she founded Creative Concentration. Please feel free to use the contact to discuss a private session, either in person or long distance – nationally or internationally. Hands on sessions take place in Miriam’s Wellness Sanctuary located in South Orange, New Jersey or via skype/telephone session. Ms. Belov also collaborates with a variety of medical professionals. One doctor is Richard Levandowski, M.D. He is on the United States Olympic Drug Control Committee and the Director of the Division of Sports Medicine at the University of Medicine and Dentistry of New Jersey, Robert Wood Johnson Medical School. 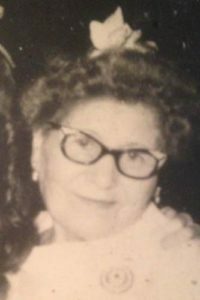 Judith Lutz, R.N. worked at the Hospice of Charleston for 15 years and was the Charge Nurse in Radiation Oncology at The Medical University of South Carolina. She was able to watch Miriam at work on a cancer patient. Miriam’s primary colleague is Melissa Brown, MD, a retired pediatrician who has moved onto holistic coaching for woman. They have created several events together, ie: Experience Your Personal Oasis at Greenwood Gardens in Short Hills, NJ and Beauty: Inner & Outer with Estee Lauder and BIG at Bloomingdale’s in the Short Hills Mall. This autumn they will launch “The Wonder Woman’s Wellness Program for the Woman who Desires a Life Extraodinaire”. A founding member of the Health and Wellness Co-Op of Millburn/Short Hills, New Jersey, Miriam participated in its inaugural event and also represented it at Opportunity Project’s Healthy Brain-Healthy Me Wellness Day. The Co-Op’s primary goal is to address patients’ health and wellness concerns, representing a comprehensive array of patient care for all members of the family. 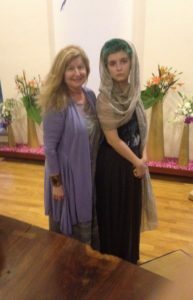 She has also been involved with many other groups including AWED, Health and Wellness Professional Network, Matagiri/Center for the Evolution of Consciousness, The Jewish Community Healing Service and the Intuitive Healing Art Society. Amy from Montville Township, NJ. Open hearted to offer an array of modalities to help others, Miriam is grateful to be a woman of experience and intuition. A pioneer in the mind body spirit field, she shares her energy healing expertise in a graceful and effective manner. Miriam received her natural intuitive gifts through her maternal grandmother, Shirley. They shared a room while Miriam was a young child and Mama – as she was lovingly called – continued living with the family until her death. Their bond was immense. These roots run deep into the rich heritage of Eastern Europe, Kiev and the Russian steppes. From 4 years of age and on, Miriam had several precognitive dreams and clairvoyant experiences. In her teenage years she began seeing auras. One of the first was when she had the privilege of meeting Rabbi Abraham Heschel, Martin Buber’s protégé. His countenance was a white halo. As she continued on her journey – through all the challenges and the triumphs – she found teachers she respected and also delved into disciplines that resonated. Some of her global adventures are listed below to show the scope of her travels. 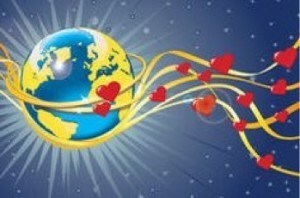 Miriam is able to easily go between cultures and continents as she integrates global wisdoms to help us today. When we progress in our own consciousness, the being is able to expand from a personal to a more universal one. She sees the truths of the sacred traditions and can connect this golden thread to the knowledge of modern scientific discoveries. She is honored to have had these experiences for they have enriched her and her practice. Compelled by her passion to learn various ways of wellness and healing and to better understand this precious planet’s cultures, Miriam developed a burning desire to travel beyond her Ivy League Master Degrees from Brown University. 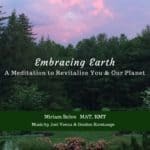 Inspired by the New England Transcendentalists, she craved to experience a more direct knowledge of numerous climes and locales and to truly honor our great mother earth. Miriam put aside her hesitation of leaving the familiar and allowed her convictions to lead her forward into the unknown. Back and forth she went–across America and then to England, Morocco, France, and Israel–exploring cities and countrysides as she internalized new healing perspectives, always feeling a deep connection with the land. In tune with the great reverence that Native Americans have for nature, she too was in awe at the Grand Canyon, nestelling at Esalen along the Big Sur pacific coast, swimming with dolphins. She stood marveling at Stonehedge, ate the most delicious couscous in Marrakesh and visited the pyramids outside of Cairo. In Israel Miriam walked through mystical Safed in the footsteps of the Kabbalists, went up to Jerusalem to celebrate the joyous holiday of Purim and was even in Bethlehem on Christmas Eve. 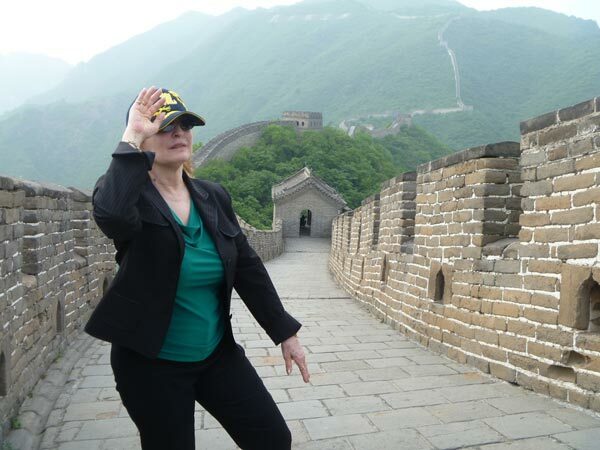 More recently in China she was playing tai chi on the Great Wall which seems like an undulating dragon going on forever, listening to operatic music under a full moon at West Lake and having the most fabulous feast overlooking the harbor in Hong Kong. 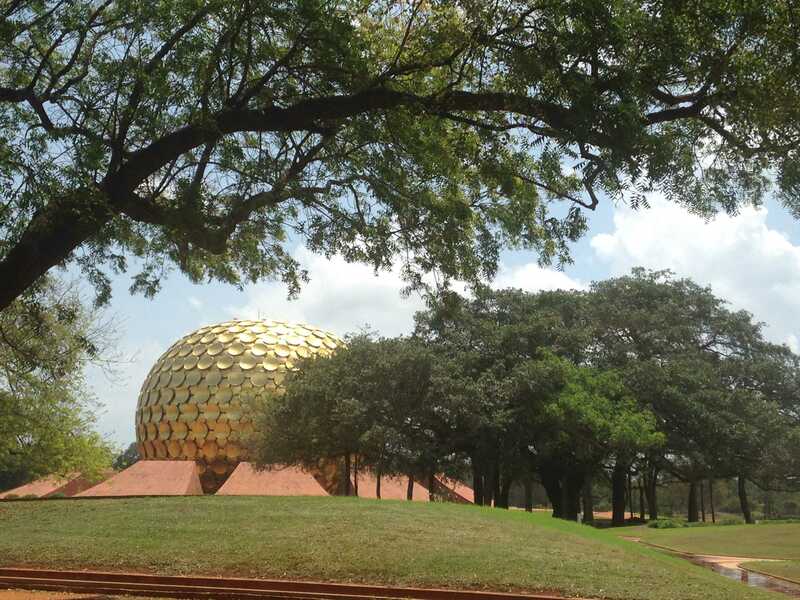 Each of these places called to Miriam but India mesmerized her as she has visited Auroville, the experiment in international living recognized by UNESCO, brimming with the future. It draws people from around the world who live and work in this unique township. At its center next to an ancient banyan tree is the Matrimandir, a place of meditative concentration. It houses the largest crystal in the world which Zeiss of Switzerland made. Words do not suffice to explain the powerful atmosphere and experience that occurs there. Extending her initial visit in 1979 for a year, Miriam also had the opportunity to visit the Jews of Cochin for Passover. Hosted by its leader, SS Koder, she had a unique holiday with homemade matzah and wine. The Jewish community traces its heritage back to King Solomon who traded goods with India. After the destruction of the Temple in Jerusalem, a remnant travelled to Cochin where they were put under the protection of the ruler and thrived. 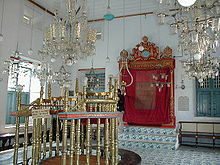 The synagogue is the oldest in the British Commonwealth. Inside there are beautiful blue and white Chinese tiles. Being in it was just incredible and very special. Indira Gandhi, the Indian Prime Minister, attended the 400th anniversary of the synagogue in 1968. In February of 2016, she was with her daughter again in Auroville and Pondicherry at the Sri Aurobindo Ashram which was led by Mira Richard, a Parisian Jewish woman who is honorifically called The Mother. Another board member was able to Skype in those members who gathered at the Nakashima Altar at The Cathedral of St. John the Divine in NYC. It was 6:30 in the morning there and 2:30 in the afternoon in Moscow at The Russian Academy of the Arts where there is another Sacred Peace Table! In the process of fulfilling the vision of the internationally reknown and honored American craftsman, designer and woodwork George Nakashima, The Board has placed 3 pieces of art on 3 continents. The consecrated Altar is for the North American continent, the Sacred Peace Table in Auroville is for Asia and the Sacred Peace Table in Moscow is for Europe. 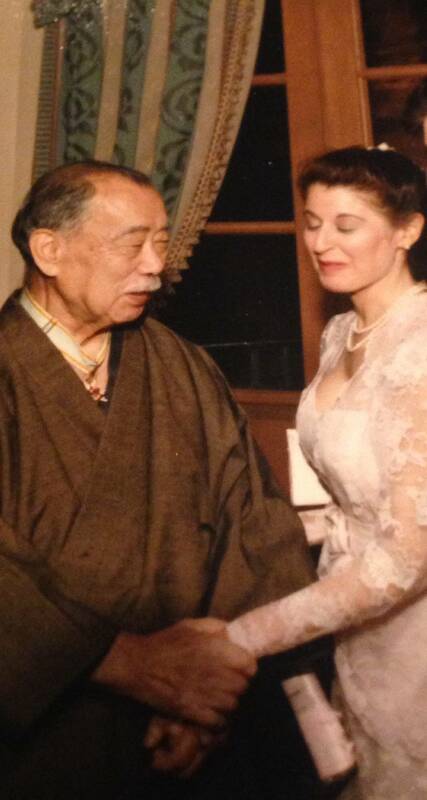 Miriam knows Nakashima, his family and work since 1975. This close relationship influenced her great admiration for Japanese culture and her becoming a certified Reiki Master Teacher. Art has also played a large role in her spiritual refinement and sensibility. Miriam spent 30 years in the Thomas J. Watson Library, the largest fine arts library in north and south America, and the galleries of the Metropolitan Museum of Art. She facilitated a room by Nakashima in the Japanese Gallery and also led meditations throughout the Museum, in particular the Lehman Wing under the glass pyramid. Being privileged to wander through the encyclopedic collection on special tours and often alone intensified the transformative power of beauty for her and in her. 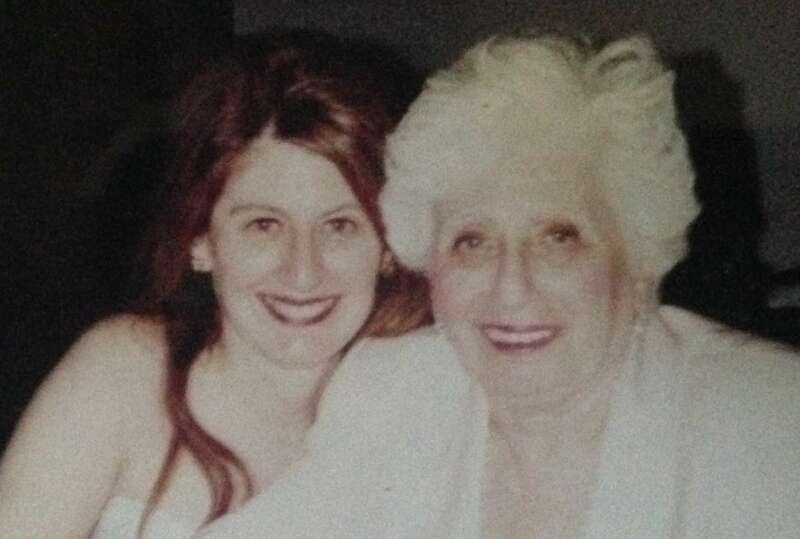 One final word – about the most powerful healing Miriam experienced – that of her Mother’s passing in 2013. The following is an excerpt from The Great Dragon Empress. 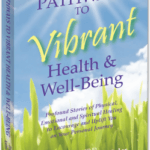 This chapter is in the #1 bestselling anthology, Pathways to Vibrant Health and Well Being, that Miriam was invited to participate in. The first words the social worker spoke to me were, “We are here to make the patient comfortable.” When I heard her words, I became quiet and surrendered to the process. Clearly, all was in perfect timing and the correct action. After the appropriate medicine, Kate became engaged again. The nurses said nine more days when I asked for a timeline. They did not know my mother. For the next two months, they came. Kate had a very strong constitution and will! I played music she liked, along with special organ sounds which vibrated through to her cells, bringing peace. She smiled while smelling the fragrant pink roses which she loved from her garden. Lavender relaxed her. Mother and I laughed. I prayed. We reminisced and I told her what her granddaughter was doing her summer days. One late afternoon Maddye, her granddaughter, got a free makeover at a Chanel counter. She looked amazing. We rushed home, awoke Mom from her “sleep” and told her what had happened. She opened her eyes, looked at Maddye and without missing a beat said ”Only the best for us!” Then she closed her eyes and drifted away. I laughed for she often had said that very phrase. Her consciousness intrigued me and I often meditated with her. I felt like a sentinel on the edge as she hovered between this life and the next. 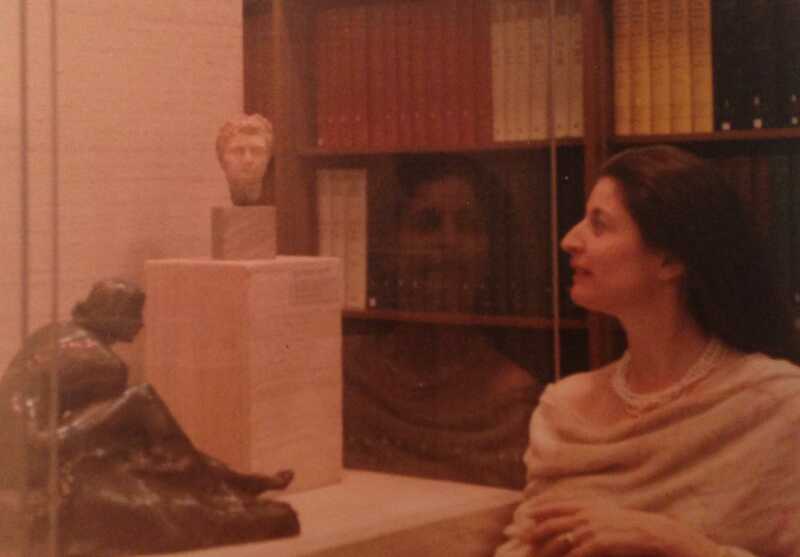 For decades I had shared my work and discoveries with her. 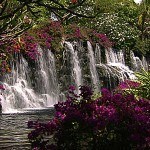 Compelled, I had travelled internationally studying various modalities of healing and meditation. Kate had even tried deep breathing and some of my exercises. For 3 years I had used these to keep her as well as possible after a calamitous fall she had in Paris. Now I used them to help her transition. A majestic dignity surrounded her as the tunnel of light beckons her forward. The here and “the other side” compressed into moments of now. Every moment became precious. My life experience had brought me to this very place. My passion was laid at her feet. The atmosphere in mother’s room was so very refined and exquisite that I did not want to leave her side. When I had to be with other people, they seemed coarse and “heavy”. I would return as quickly as possible to the sanctuary of Kate’s room. A holiness permeated the atmosphere. Angels were close, gently moving their wings. Mathew caressed her lovingly as Shirley awaited her with maternal patience. As Kate was being prepared to ascend, so I, too, was going through a transition becoming more grounded and centered. My psychic gifts expanded as my soul widened. A vibrant healing was taking place within me as I accepted my own clairvoyance and wisdom. Another layer of distraction was peeled away to make room for further mindfulness. I stepped further into my own power. The nurses were amazed that she had clung to life so long. They sensed something special in the atmosphere around Kate. I shared my work with them. Most importantly, they felt the great love we all had for one another. But it was time for Kate to move on. In the beginning of August, she started to change. Her complexion was no longer pink as it has been. Her body was shutting down as her soul shone on. I went into meditation. How can I help her? What more is there to do? Shimmering, iridescent pastels: all sweetness. The following day on Saturday, Shabbat, Maddye told her grandmother it was ok to go, as all of her children had done. This was to put Kate at ease that we would all be fine and take care of one another. 24 hours after my vision, Kate exhaled her last breath as I was walking into her room. She had chosen to go alone, exerting her will – as usual – to choose as she wished. I was honored to step in at my mother’s very moment of departure which now was her ultimate healing. After 91 years on earth, Kate’s soul was free as she dropped her body. The Great Dragon Empress: your glory shines on brilliantly, your memory is a blessing forever. The following poem is written by me. I read it at my mother’s funeral. In between breaths Kate rose up into the Light. 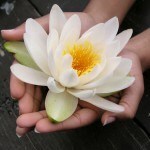 As gently as a rose opens itself and offers its petals to the Divine. She was surrounded by Love as she surrendered her life into the great eternal embrace. Reached her crown: all glory. I was humbled to witness. I was honored to help her on her journey.